Dave, Just a quick note to thank you for making such a wonderful product. 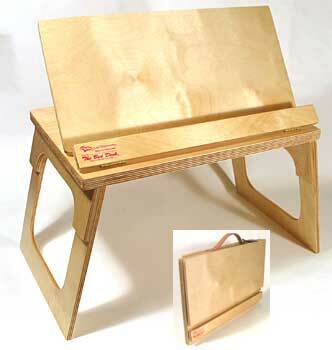 I bought my first Bed Desk from you back in 1998 at the Orange County Fair. At first my wife gave me a hard time because she thought the Bed Desk was an impulse buy that I would never use (I've made a few dozen of those through the years). But the usefulness of the Bed Desk proved her wrong because I've used it almost daily since. And the funny thing is this, I'm not the only one who uses it in our home. My wife now likes the Bed Desk as much as I do. The Bed Desk is the best impulse buy I've ever made! Thanks again bringing your great idea to the masses. PS: As I said on the phone today, the reason I'm buying another Bed Desk is that I want to keep a spare in my office just in case our house ever burns down...I'm not sure what I would do without my own Bed Desk. Glad to hear your business is going well! "Drake's Bed Desk, as well as his presentation, is the ultimate of uniqueness." "He opened it up, set it on the floor above his lap..."there is even room for the cat!" "I have enjoyed your Bed Desk for a year now. I still love it." "I would like to order another one and have it shipped to someone as a gift." "I love it and have already put it to great use." "I am 74 years old and the Bed Desk would be just what I would use." "I bought your invention while I was visiting San Diego....I am loving it. Thanks for the demonstration." "My daughter recently purchase one and I thought they were terrific. How could I get one?" 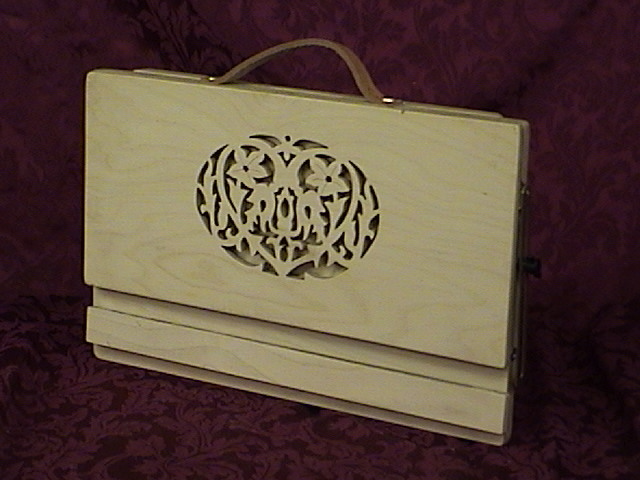 "I love the scroll work. 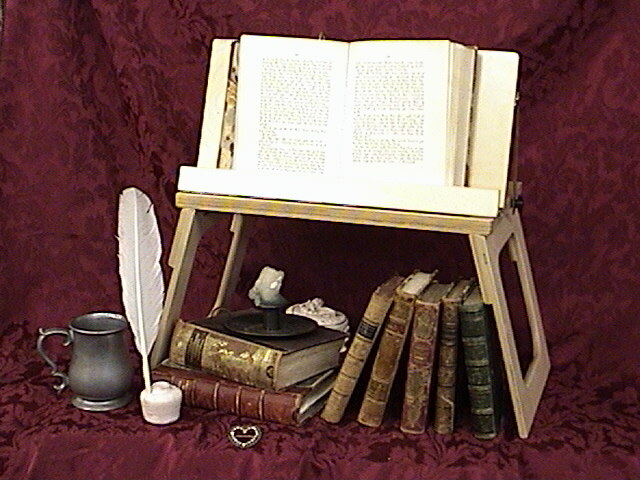 I have set it up on my bookcase, so that everyone else can admire it." "Just wanted to make contact. I recently bought your bed desk and am enjoying it." "I received one of your wonderful bed desks as a Christmas gift and would like to purchase another." "I recently had cervical fusion surgery and can no longer read, a past time i dearly miss. I saw your infomercial in RV Companion." "I took this company your bed desk and showed how your's compared to the ones they had on display. They were impressed." "We bought your Bed Desk at the craft Fair in Goleta. It even held my wife's fifteen pound nursing manual without a problem. Thanks! We will enjoy it thoroughly. "A few hours ago Rex bought a Bed Desk from you to give me for my birthday...Seems to work great." "I have to tell that I've use[d] the table twenty times since we got it. I mostly use to hold my scripts so I can type."